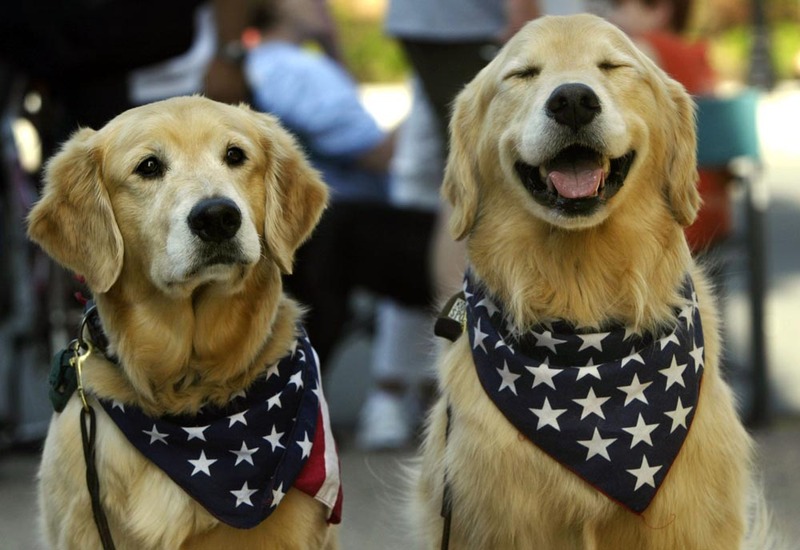 Max and Boomer, Peter LaPlaca's dogs from Pittstown, NJ , are all smiles prior to the start of The annual Flemington Memorial Day Parade. The parade is complete with marching bands, twirlers, fire trucks, emergency vehicles and lots of families enjoying the morning. Beautiful weather added to the festivities.